When someone is sick, my first reaction is to make chicken noodle soup. 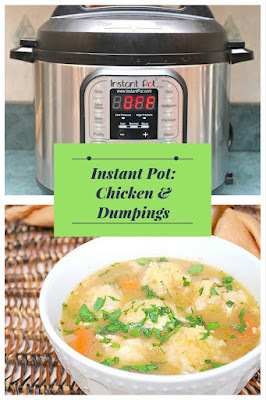 This time around, I wanted something a bit more filling and the next thing that comes to mind is chicken and dumplings. 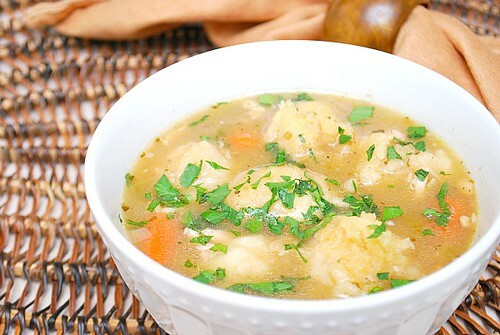 Similar to a soup, it includes tender balls of fluffy goodness. 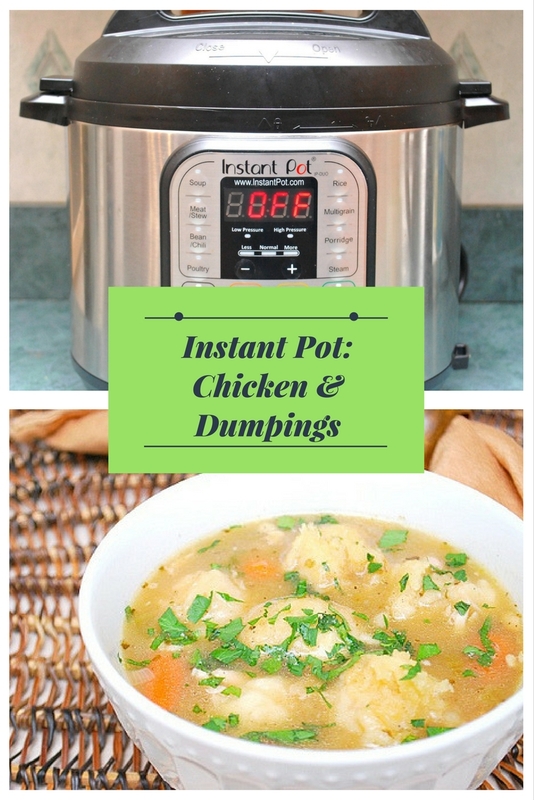 I made the dumplings using a gluten free flour blend but you can certainly use all purpose flour (which is what the original recipe called for). The soup portion of this dish was especially good. It's flavorful and that's due to the use of chicken thighs in the recipe. Chicken breast could be used but I found it to be less flavorful. If you want this to be a richer meal, add a touch of heavy cream or half & half to the broth. Press SAUTE and add oil. Add chicken and cook, browning on all sides. Remove chicken; keep warm. Add broth to IP; bring mixture to a boil. Press MANUAL and adjust the time to 3 minutes on HIGH pressure. Once at pressure, the display will reflect 3 (the number of minutes you initially set) and will begin to countdown to 0 minutes. When the IP beeps after pressure cooking for 3 minutes, turn the setting on top of your IP to VENTING. Doing so allows the IP to quickly release any remaining pressure (also known as QPR or QR). I use a wooden spoon to carefully turn the setting to avoid close contact with the potential steam. You may also want to turn your IP away from cabinets to allow the released steam to escape freely. The pin at the top of your IP will drop when all pressure has been released and it's safe to open. Meanwhile, prepare the dumplings and combine flour, chopped parsley, baking powder, and salt in a medium bowl. Add milk, stirring just until moist. Open up your IP when the pin has dropped (allow a few minutes for this to happen). Press SAUTE. Spoon dumpling mixture by heaping teaspoonfuls into broth mixture; allow to cook uncovered for 5-7 minutes until cooked through. Ladle the soup in bowls and serve hot.